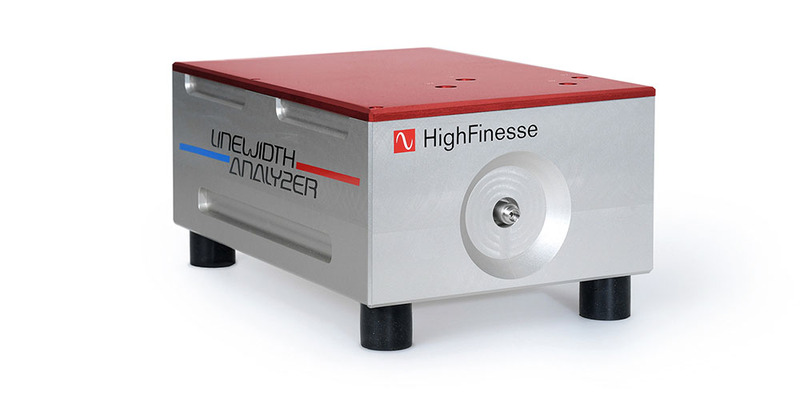 The versatile LWA-100k analyzes both, narrow laser lines down to 100 kHz effective laser linewidth, as well as broader sources up to 300 MHz. This is achieved by two distinct measurement modes. In broadband mode the effective linewidth is calculated via the broadening of the spectrum of a scanning Fabry-Perot interferometer. In narrowband mode the effective and intrinsic linewidths, as well as the noise density spectra, are derived from the spectrum of the same interferometer by means of a sophisticated algorithm. The acquisition in the broadband mode yields an intensity spectrum in the frequency domain with evenly separated spectral bands. The linewidth is then given by the full width at half maximum (FWHM) of the curve (Lorentzian or Gaussian) fitted to the data. 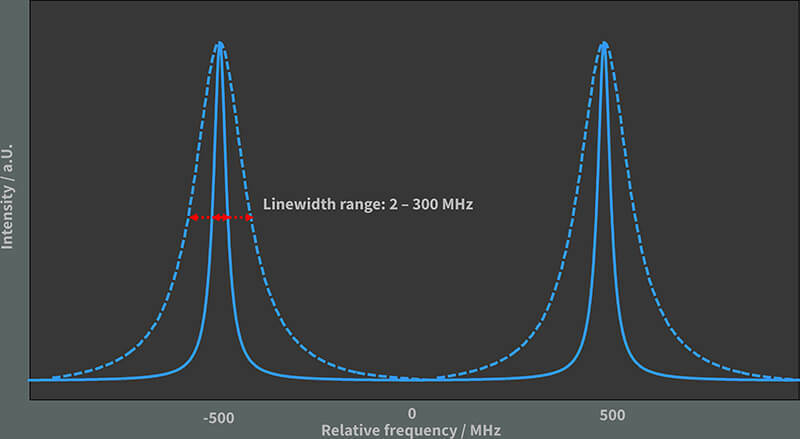 The linewidth range in broadband-mode is between 2 (blue line) and 300 MHz (dashed line). A Fourier analysis of recorded time-domain laser frequency deviation signals yields a frequency noise density plot in the frequency domain (blue line) with 1/f-noise, characteristic noise peaks and a white noise floor. 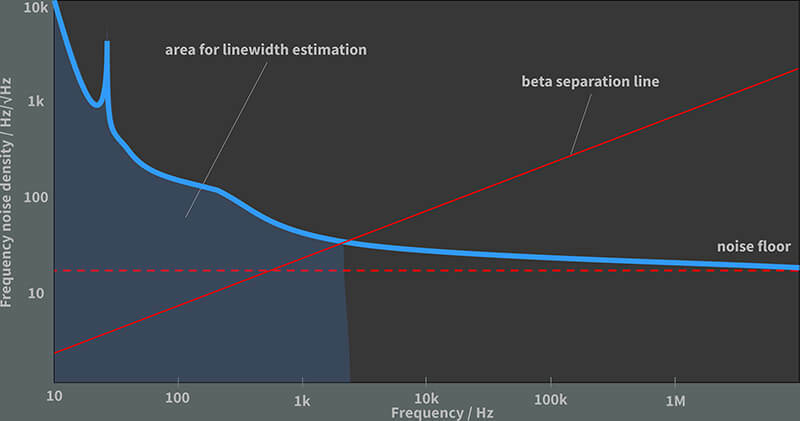 According to the β-separation method 1), the effective linewidth is proportional to the area of the frequency noise (blue) above the β-separation line (red line). The intrinsic linewidth is given by the noise floor level (in Hz2/Hz) times π (rule of thumb).